I’ve always wanted to do the sea crossing from the river Shannon all the way to France. In April 2007 we untied Driftwood from her moorings near Jamestowm on the northern end of the river Shannon. This was no ordinary trip, we were heading on a mammoth journey to France. 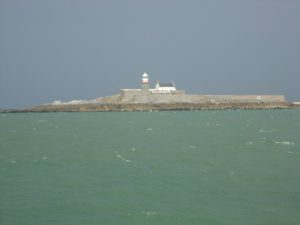 A sea crossing that would involve a few days on Ireland’s Atlantic west coast before a full 24 Hrs crossing of the Celtic sea from Cork in the south of Ireland to Cornwall on the south coast of England. Then a few more days traveling east along the English coastline before crossing the English Channel and entering the French inland waterways at Le Havre and the river Seine. The mighty river Shannon enters the sea through one of Europe’s deepest locks incorporated in the Ardnacrusha Dam near Limerick city. 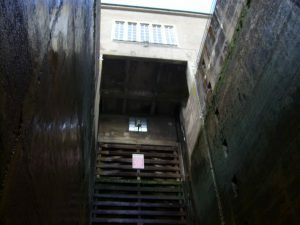 The dam has two chambers that together drop you over 100Ft to sea level. All in all it takes about 45 minutes to get through the dam. 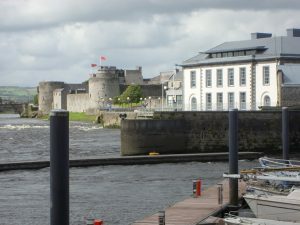 Then we moored in the shadow of King John’s castle in Limerick city. 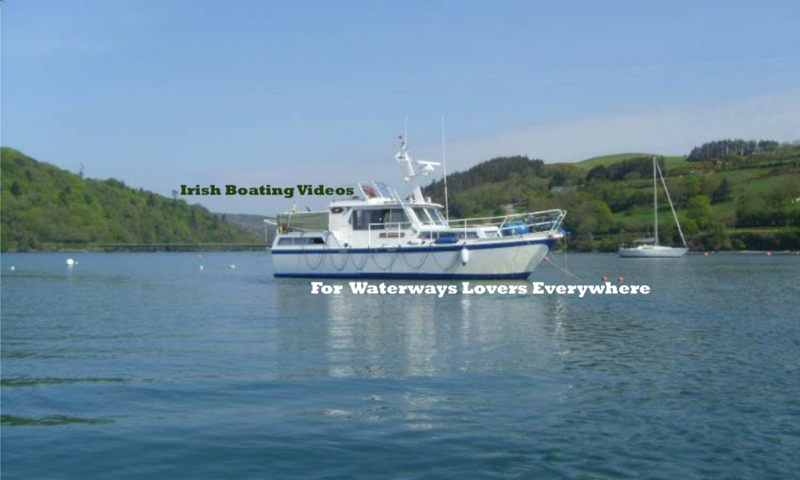 The trip from Killaloe to Limerick city is captured in this video. We made this video a year before we went to France on a weekend trip into Limerick city and back up river to Killaloe again. It’s a wonderful trip in it’s own right and Limerick city is probably the best mooring on the Shannon even though very few boats visit it. From here things start to get more difficult. 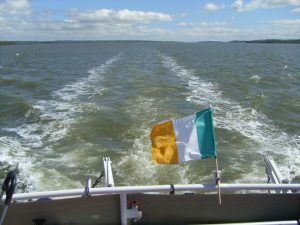 The tides in the Shannon estuary are famous for all the wrong reasons. It’s important to get out through the estuary at the right tide state to avoid grounding. We headed out early in the morning to take advantage of the tide and had a pleasant trip up to Killrush marina. My Dad and a friend Malachy joined me in Kilrush. We made Feenet that afternoon in bad weather and I had a frightening day’s journey around Kerry Head. It really was a baptism of fire. Still, we made it to Feenet in about six hours from Kilrush. Over the next few days, we continued south mostly in really good weather. That was just as well because the Atlantic swells are nothing to be sniffed at. I’m sure that you will agree with me that the Kerry coastline is spectacular but it is also treacherous if you get things wrong. Luck is your best friend. Malachy left us to go back to work and Dad and myself carried on to Cork. The next bit of video starts just off Lands End in Cornwall in the south of England. there was a 24Hrs crossing that was not on video for lots of reasons… My brother Aidan joined Dad and myself for the trip from Ireland to England. Sadly Aidan had to fly back home and myself and Dad spend a few weeks in Cornwall with bad weather and engine problems. When the weather broke we headed off along the south coast of England, and what a trip that was. We crossed the Channel from Weymouth to Cherbourg, although we didn’t go into the port of Cherbourg because there was a strike on (welcome to France!) so we moored in the port of Omonville. The Channel crossing took nine hours in the best weather we saw anywhere along the trip. In France at Le Havre (Honfleur) my sister Ann joined myself and Marion as we headed up the Seine estuary and into the French inland waterways.